When we think Chinese New Year, we think family, friends, eating, and lots and lots of drinking. Let’s welcome the Chinese New Year with a bang (or a shot, either works). Here are some exciting drinking games to make your reunion dinner slightly more special this year. This one shouldn’t come as a surprise for the K-POP fans out there. Introduce this game to your family and friends and let’s all ride the Korean Wave together. Fill half a bigger cup with beer and place the shot glass so it floats on the beer. Everyone takes a turn with the bottle of soju (or vodka is fine, we’ll leave you to choose your poison) and must pour at least one drop into the shot glass. Try to pour as little as possible. As the shot glass fills, it will move down in the beer. Whoever sinks the Titanic (shot glass), drinks the mixture in one shot. Things you need for this game: beer, an empty pitcher, and a deck of cards. Basically everything at arm’s reach during a reunion dinner. Wager an amount of beer into an empty pitcher and then you choose red or black. If you’re right, the beer stays and the person next to you goes. If you’re wrong, you have to drink what’s in the pitcher. You also don’t stop going until you get the colour right. Pray that Lady Luck is on your side for this game, but if not, go hard or go home right? Huat ah! The previous game may be the ultimate killer for some and will probably get you drunk in the least amount of time. Now would be the perfect opportunity to belt out to some of your favourite Chinese New Year songs. Someone has to pause the song midway and you have to finish the lyrics. Get them wrong and yeap, you guessed it, drink! This one’s a good laugh and just a great chance for you to be festive while having a good time with your family and friends. 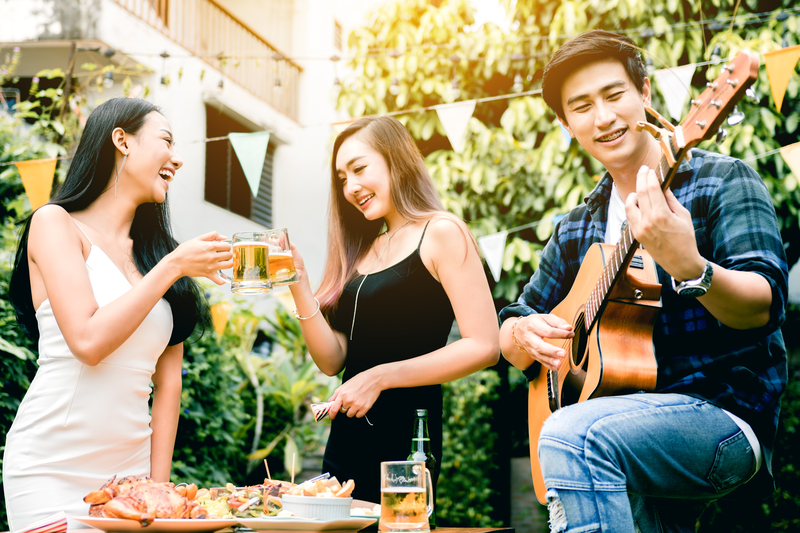 Don't forget to check out our latest campaign where you get the best of both worlds for the upcoming Chinese New Year - drink beer and earn while you’re at it. Partipost for the brands YOU love! Download Partipost for FREE - everyone can earn through social media with the brands they love, with Partipost!